Mexican food is a staple in our household, we typically eat it at least twice a week. Yes, I am a total gringa that can cook up some mean Mexican food. 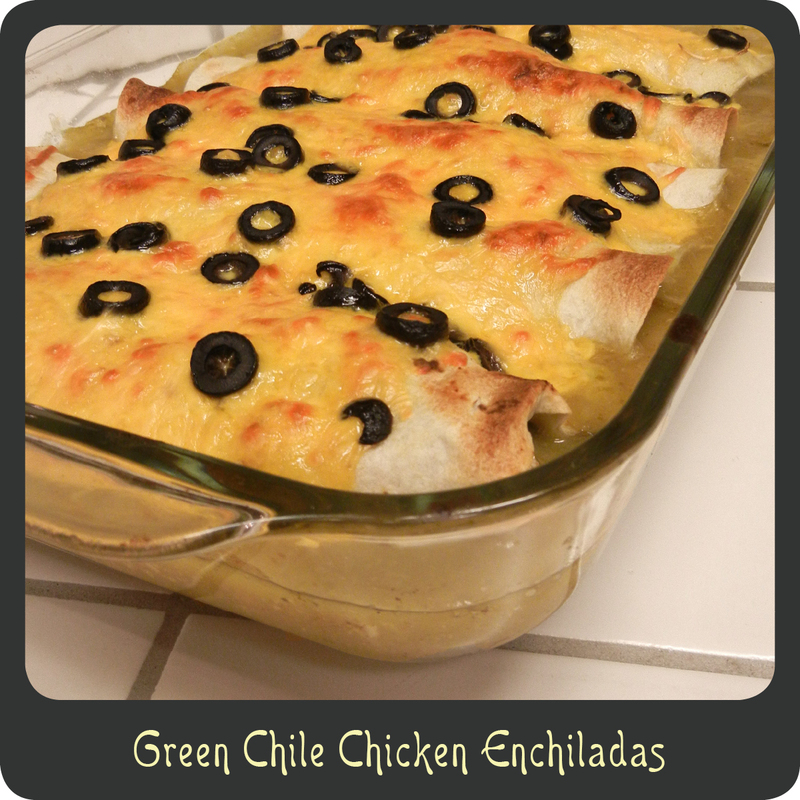 Enchiladas are one of my husband’s absolute favorite meals that I prepare. An enchilada is typically a tortilla rolled around filling and topped with sauce. However, this recipe could easily be served as an enchilada casserole by layering the ingredients to save a few minutes. These are fairly time consuming to make, which is why I typically make them on the weekends. But they are ohhhhhh so worth it. Note: This recipe makes 12–16 enchiladas when made with soft taco sized tortillas. If you are having a dinner party, then this recipe will be perfectly sized and affordable. For my family this recipe makes enough for three meals and some leftovers. These enchiladas freeze incredibly well, so I typically split it up into three or more containers and freeze some of them. If you would like to freeze the enchiladas, I find that the foil containers you can buy at the supermarket are perfect. Some even come with lids. Best of all, they are disposable, which makes for an easy dinner, and even easier cleanup after a long day of work. (See frozen cooking instructions at the end of the recipe.) I like to seal mine up using my Food Saver bags. This really does help keep them fresh and I find that they last at least 6 months without getting freezer burn. Sour cream, guacamole, and pico de gallo are all great as garnishes. In a large skillet combine onions, garlic, and oil. Sauté onions and garlic until soft, about 5–7 minutes. Add in chilies, garlic powder, chili, cumin, salt and pepper, green salsa, and one cup of the green chile enchilada sauce. Cook over medium-high heat until bubbling. Add in shredded chicken breasts and heat through. If the chicken mixture still seems dry after stirring, add in additional green salsa or enchilada sauce until wet and saucy. Pour some of the enchilada sauce in the bottom of your baking to dish(es) to evenly coat. Lay tortillas out flat on an oversized cutting board. Place a handful of cheese on the tortillas and sprinkle with sliced olives. Top the cheese and olives with a handful of your chicken mixture. Pour remaining enchilada sauce over your enchiladas and top with remaining cheese and sliced olives. Bake in oven for 25 minutes. If cheese has not started to brown after that much time, turn on the boiler for a couple of minutes just to finish it off. Remove from oven and allow to set for 5 minutes before serving. Frozen cooking instructions: Preheat oven to 425º. Cover loosely with foil and place on a cookie sheet. Bake covered for 45–55 minutes or until cheese and sauce are bubbly. Remove foil and bake for an additional 15 minutes or until cheese just starts to brown on top. I was fortunate enough to sample this dish the other day. I am big consumer and fan of Mexican cuisine and these enchiladas are exquisite! A little different than mainstream Mexican in the seasoning and nuance, but still very bold and satisfying. Highly recommended!! A super sweet “someone” froze a batch of these for me when I was a new mama. Not only was it so appreciated to have dinner already made, but they were better than any restaurant enchilada! Yum!